Full latex hands worn as gloves, adult size but not oversize, in a flesh tone color. 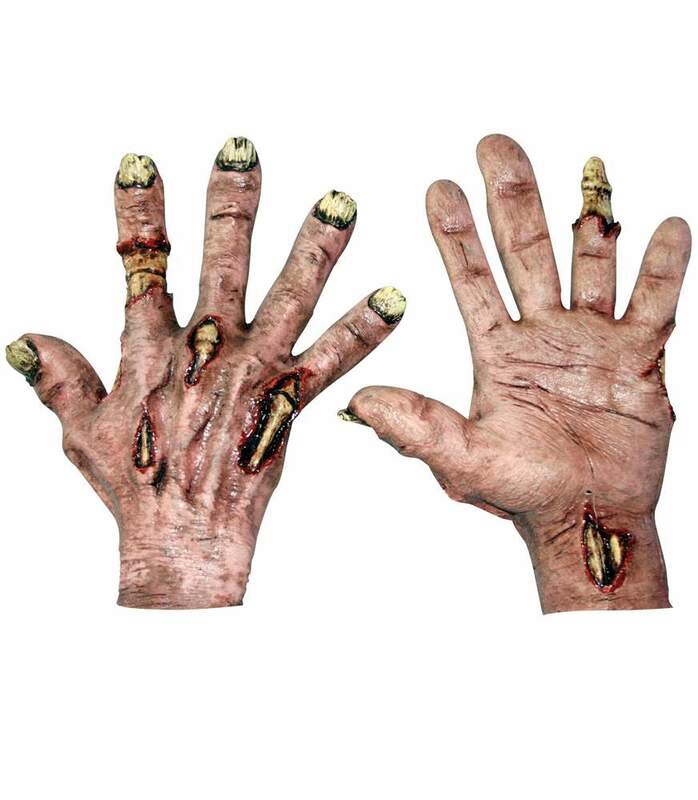 Hands have exposed bones and blood on them for the perfect zombie look. good gloves a little oversized. but good detail wish they were a little smaller and i do not have small hands. Great looking hands. They work perfectly on some zombie props I have made. Expensive, but very scary and lifelike. Will be using in my haunted house.